Forest Gate has seen its fair share of waste problems in the past. From fly-tipping on Wanstead Flats to the latest insistence by the council that residents clear up their rubbish filled front gardens or face a fine . But there are better ways to say goodbye to your unwanted furniture than leaving it out to look forlorn on a Forest Gate street corner. 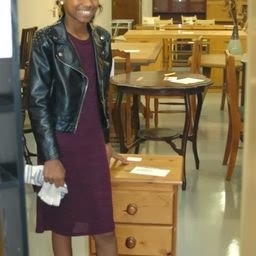 Maryland-based charity Homestore picks up good-quality used furniture such as sofas, wardrobes, chests of drawers, from your home and provides it at an affordable price to low-income families. 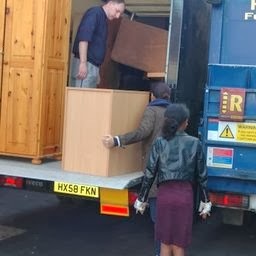 Now, as part of Newham Council’s Crisis and Community Support Scheme, Homestore is contracted to provide furniture and white goods, in a cashless system, to families in dire need referred by Newham Council. It’s a win-win situation. You have your furniture picked up for free, and it makes a massive difference to the lives of a local family. And it is a REAL difference. Your unwanted table could be a place where a local child can sit and do their homework for the first time, where a family can sit to eat a meal together. Your bed could mean a person no longer sleeping on the floor. Some 45% of low income families cannot afford to replace worn out furniture, any other way. Faced with this situation, it is easy for families to resort to payday lenders, of which Forest Gate has its share, or enter into credit agreements whereby although they pay weekly, the items they purchase end up costing massively over the odds. 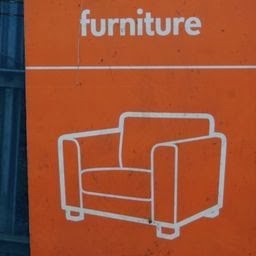 In 2012/13 drivers picked up 5,467 furniture donations from homes in East London. Forest Gate resident Samia Bouraiou was herself a Homestore customer when she moved in to the area in 2004. “I bought a few things for my flat when I moved in. The people at the store are lovely and I got a really nice welcome, it made a big difference. Homestore was the only place that was affordable to me at the time. Now, nine years later, Samia is in the position to give something back. “I am moving to Southwark, so I contacted Homestore to take my sofa and my glass-fronted wardrobe” she says. “I wanted to say Thank you”. Unfortunately, things are never that simple. When Jim and Dave came round to pick up the sofa, it got jammed in the doorway! “They were holding it, half in and half out” Samia laughs, “and I was having to crawl underneath to go in to the house to find a screwdriver so that they could take off one of the sofa’s feet to get it out the door”. She says of Dave and Jim “they worked so hard, it is not easy, but I think that they will remember me at Homestore, even when I have moved away”. Delivering a sofa to a customer in Leyton, she tells us: ‘I shop at Homestore so that I don’t get into debt. This sofa cost £40 so that is not problem for me’. Homestore pegs its prices to be significantly lower than any other second hand furniture available on the high street. This means that in 2012/13 our customers saved a total of £59,000 by using the service. In 2012/13 Homestore delivered 130.5 tons of unwanted furniture to a new home. All this furniture would have gone to landfill in the seven boroughs in which we work. 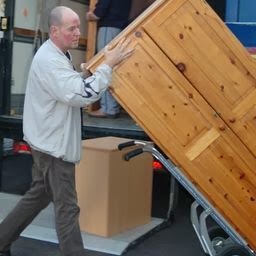 Homestore accepts most types of household furniture that is clean and in good condition and can be safely carried out of a property by two people. Quaker Social Action (QSA) is an award-winning anti-poverty charity working primarily across east and north London offering a range of services to meet low-income Londoners’ needs. Founded in 1867 by Quakers, there is no religious element to the work; rather QSA works to deliver its vision of ‘a just world, where people put people first’. Anti-Jewish activity in Russia in the 1890s lead to a mass exodus of refugees, many of them coming to London's East End. It is estimated that as many as 100,000 emigrated here in the quarter of a century preceding the First World War. 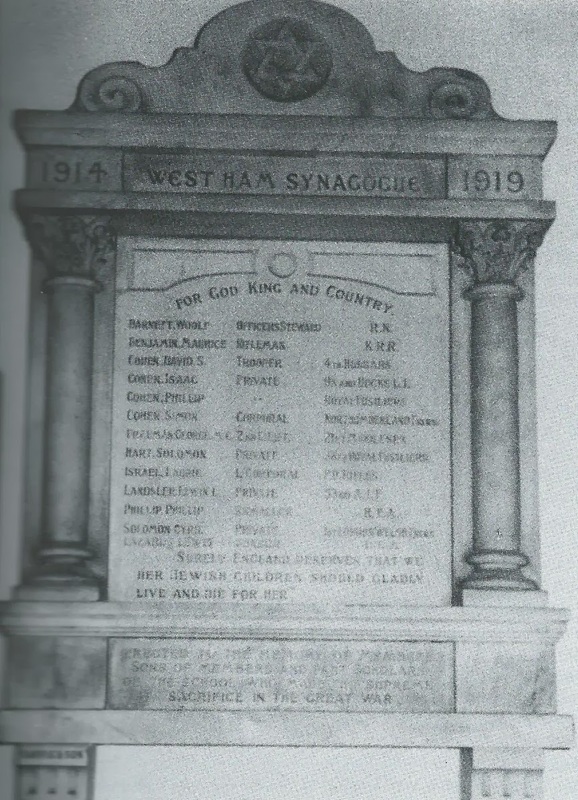 Some with a burning ambition for a better future for their children and with a strong sense of adventure moved further eastwards to establish a new life amid the leafy lanes and fresh air ... from those pioneering few was born the Forest Gate synagogue. London's Jewish community had already seen some of Forest Gate's benefits - close to the city, good transport links, opens spaces, cheap land etc - when they established a cemetery here in 1857, on land purchased from Samuel Gurney (see here). Of the refugees who moved to the Newham area, Bloch noted that: "The more prosperous moving into the large houses in the pleasant suburbs of Stratford, Forest Gate, Manor Park and East Ham. Those who were poorer tended to move to the commercial areas, especially the street markets and small shops in and around Canning Town and Upton Park." By 1897 Hebrew classes, catering for up to 120 children, were held in a house in Forest Lane. 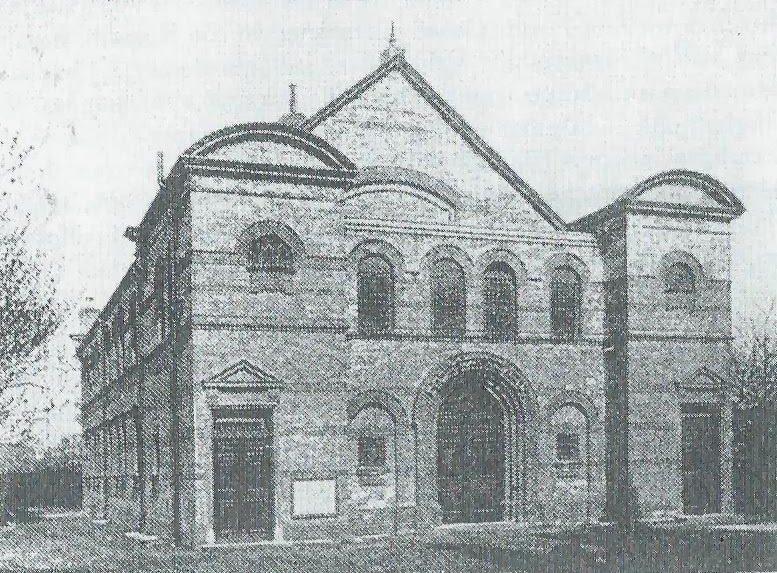 In 1900 the local Jewish community resolved to spend £1,200 to build a synagogue at 95 Earlham Grove. It was to become Essex's first and Newham's largest. The adjacent properties at 93 and 197 were bought soon afterwards, for an expanded facility. The synagogue - following the Ashkenazi Orthodox tradition -was built behind the houses, rather than at the front, where it would have been a prominent feature on a residential street. As a result, services were frequently interrupted by noise from the railway line at the rear. The synagogue accommodated 426 people and was consecrated in 1911 by the Chief Rabbi, Herman Adler. The majority of the regular attendees, or "seatholders", came from Forest Gate, and many, according to the 1912 Kelly's Directory, were shopkeepers in Stratford and Green Street, as well as Forest Gate. There continued to be an influx of Jewish people into the local community until the start of the second world war. Many of them became local employers and manufacturers - some of whom developed products that were to become household names. The Ibcol brand, for example, was developed in a shed at the end of a garden in Romford Road, before being sold out to Jeyes. In 1928 a Communal Hall was built, at a cost of £6,500, in front of the synagogue and in October of that year the Forest Gate and District Literary Society was established there, with 200 members. By 1933 there were 336 male and 160 female "seatholders", when the building was further extended, at a cost of £2,000. It was reconsecrated in 1935. The emergence of Hitler in Germany and the rise of fascist activity in Britain in the 1930s, unsurprisingly, impacted on the local Jewish community. A number of German refugees came to Forest Gate at the time. A hostel was opened at 51a Romford Road, accommodating up to 20 refugees, it later moved to 16 Earlham Grove. This was supported by donations collected at the Earlham Grove synagogue; other families from the local community took in refugees who could not be accommodated in the hostel. Mosley made his first appearance at a British Union of Fascists meeting in West Ham Town Hall in 1935. He described fascist policy and virulently attacked the Jews in his speech. Those who interrupted were ejected by blackshirted stewards. The British Union of Fascists opened a bookshop at 18 Woodford Road, held meetings every Sunday on Wanstead Flats and organised meetings in and around Woodgrange Road. The Jewish population showed its opposition in many ways - often riding by on bicycles and catapulting the shop's windows. Mosley came to Wanstead Flats some Sunday evenings. He came in a sealed truck with a wire cage let into the roof. Surrounded by a black garland of close-cropped, scrubbed and wax-like bodyguards, he stood within the cage and screeched his British upper class impression of Streicher to an audience that mostly consisted of children, derelicts and the police. We shan't be dropping bombs on Earlham Grove tonight, we shall be dropping Keating's power. (a disinfectant). Unlike much of Forest Gate - to which we will return at a later date - the synagogue was relatively undamaged by the Blitz. The worst incident affecting the building occurred March 1945, when a V11 rocket fell across the road, between Norwich and Atherton Roads and most of its windows were shattered. The local Jewish community declined a little in numbers during the war, but revived on its conclusion. So, in 1946, for example, there were 579 male and 53 synagogue members, up almost 10% on the previous year. However, a pre-war trend of Jewish people leaving the Forest Gate area soon resumed. This was accelerated by the Central Line extension to Snaresbrook, South Woodford, Wanstead, Redbridge, Gants Hill and Newbury Park, in 1947, and the subsequent completion of the line to Hainault and Ongar over the next two years. The exodus was encouraged by local bomb damage and the growing aspirations of many young married couples to purchase modern houses in pleasanter surroundings. close to newly established synagogues. Local synagogue membership declined by over a third in the 1960s. 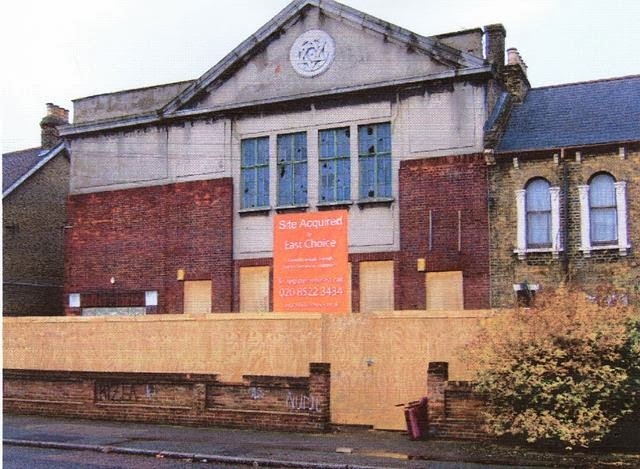 Numbers of full time staff at the synagogue were reduced and a series of meetings were held to consider closing or amalgamating some or all of the synagogues in the Newham area. The Upton Park synagogue merged with it in 1972 and the East Ham and Manor Park synagogues in 1986. In August 1984 a fire destroyed the main building of the Earlham Grove house of worship, and £500,000 was received in insurance compensation. The congregation continued to meet in the Youth Synagogue, next door. 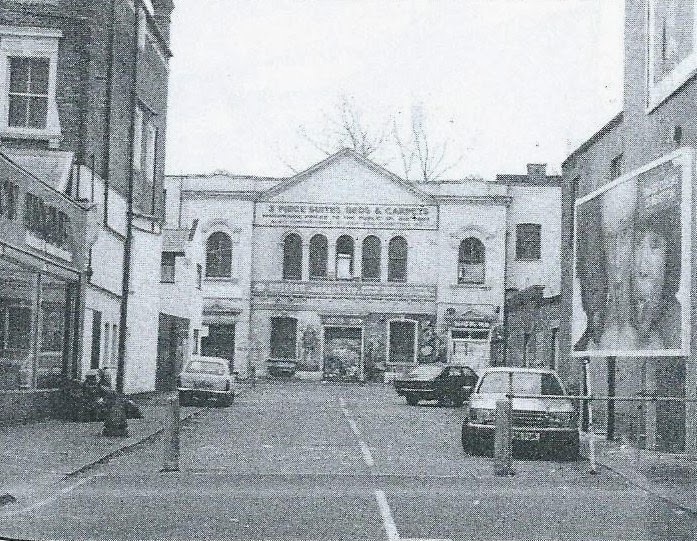 By the time of the synagogue's centenary, in 1997, it had 200 members - only 63 of whom still lived in Forest Gate. The synagogue eventually closed in 2004. It was demolished after its sale and the rather pleasant Adler Court social housing development now occupies its site. It incorporates a memorial to the former house of worship. The Forest Gate I remember as a teenager was a very Jewish area. It had three kosher delis and three kosher butcher's shops. Walking up Woodgrange Road on Rosh Hashanah and Yom Kippur was quite like walking in a ghost town. Nearly every shop was shut, quite a contrast to today. 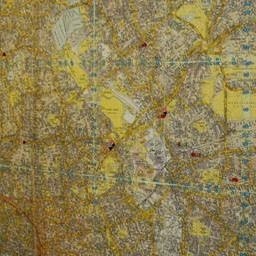 This story of immigration, settlement and relocation in a part of London's east end is such a familiar one that fifty years down the road much of it could probably be convincingly retold substituting "Moslem", "African" or "East European" for "Jewish" in the text and amending the dates accordingly. We are wholly indebted to Howard Bloch's Earlham Grove Shul - one hundred years of West Ham Synagogue and Community , 1979 for the contents of this article. We, of course, accept responsibility for any errors in the piece above. We would be delighted to hear recollections of life within the Jewish community from any existing or relocated members. Last month we looked at the seven local authority maintained schools and three independent schools aimed at primary aged children (here). We now turn to the local secondary sector. What follows is a brief guide, based on a scroll through the schools' own websites and their Ofsted reports. This is not meant to be definitive, merely illustrative, and aimed at a general reader. Those seeking more comprehensive details about the schools are advised to visit theirs and the Ofsted websites. As we said in the first part of our schools report, we invite comments on the content of this feature, on the box below, and will publish all relevant, and not defamatory, ones. There were 1,020 pupils aged 11 - 16 here at the time of the last full Ofsted inspection in 2009, when the school was judged to be "Good". An interim report earlier this year confirmed that judgement. The school is an average sized comprehensive, with considerably more boys than girls on the roll. A quarter are from the Bangladeshi community and a third are of Indian or Pakistani origin. A high percentage of the pupils are entitled to free school meals and the school has "a very high proportion identified as having special needs an/or disabilities". The school has specialised in business and enterprise since 2004. Although the inspectors' overall judgement of the school was "Good", it was found to be "Outstanding" in two respects, those of the management of teaching and learning and in the moral, spiritual and cultural development of its pupils. The percentage of children achieving A-C grades in English and Mathematics was above the national average. The recent major rebuild/refurbishment looks very good. There are 900 pupils at the comprehensive academy school - 70% boys, 30% girls. For 90% of the pupils English is not the first language and 30% pupils are entitled to free school meals. The school was assesses as "Good" by Ofsted during its last inspection, in 2011. 62% of its pupils achieved 5 A-C's at GCSE (including English and Maths) in 2012, which was exactly the Newham-wide average - both exceeding the national average level of attainment for the first time. The school does not have a very informative website, a matter which it could address as it seeks a new intake for the next academic year. This popular Catholic girls' school had 1394 students at the time of its last Ofsted inspection (2009), when the school was assessed as being "Outstanding". It has had Technology College status since 1995. It is a larger than average secondary school and has a large sixth form - 436 pupils then - which it shares with nearby St Bonaventure's boys catholic school. The majority of the pupils are Catholic and 90% of students are from ethnic minority groups, about a third from black African backgrounds. About a fifth of students are eligible for free school meals and the number of pupils with learning difficulties and disabilities is broadly average. Ofsted have been very complimentary about St Angela's, describing both the school and its sixth form as being "Outstanding". The "Outstanding" judgement was applied to almost all the criteria examined, including: personal development and well-being, teaching and learning, curriculum and other activities, care guidance and support and leadership and management. "When students join the school, they start with standards that are average. They make excellent progress, so by the time they leave Year 11, the standards they reach are exceptionally high." This popular Catholic boys' school had 1303 students at the time of its last Ofsted inspection (2009), when the school was assessed as being "Outstanding". The school has held specialist status for technology since 1994, in 2006 it gained a second specialism, for languages and in 2008 for applied learning. It is a larger than average secondary school and has a large sixth form - 361 pupils then - which it shares with nearby St Angela's girls' school. The school has a higher than average number of pupils entitled to free school meals and just over a a quarter of its students have some form of learning difficulty and or disability, predominantly moderate learning difficulties, or behavioural emotional and social difficulties. Ofsted said: "St Bonaventure's continues to be an outstanding school ... students enter the school in Year 7 with broadly average levels of attainment. During their time at school, they make outstanding progress, particularly in mathematics.". This is a primary and secondary Muslim day school for girls (aged 4 - 16), which opened in 2003. There were 282 girls on the roll at the time of its last Ofsted Inspection, in 2010. The school's mission is to:"empower the children with the highest academic standards environment to enable them to make a positive difference to society", to this end it teaches an Islamic as well as National Curriculum subjects. Ofsted inspectors assessed the school as being "Good", having made progress from its previous judgement of being "Satisfactory" in 2007. The fees are £2,150 p.a. for secondary school students and £1,900 for primary school pupils. The school was established in 1996, under the management of qualified Islamic scholars, as a secondary girls school aged 11 to 19, at a cost of £2.4 million. The school started its first academic year in September 2003, and at the time of its last Ofsted inspection (February 2012)it had 285 pupils. Admission is by examination and the annual fees are £2,400. The school received a "Satisfactory" judgement from its 2010 Ofsted inspection. There were a number of shortcomings recorded, particularly around health and safety issues, which the school has subsequently addressed. The latest Ofsted assessment (February 2012) is that "the school has made good progress and now meets all regulatory requirements". It started a Sixth Form college for girls at the Academy from September 2007. It is also in preliminary discussion with the University of East London to start undergraduate courses for Muslim girls at its premises. 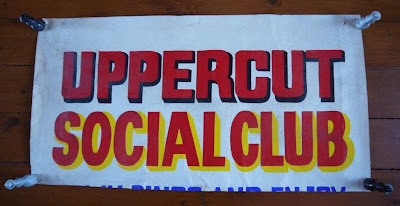 In our second monthly glance back at the golden year of the Upper Cut's existence, we feature some of the acts that appeared at the Woodgrange Road club 46 years ago - in October 1967. (see here for the September 1967 feature). 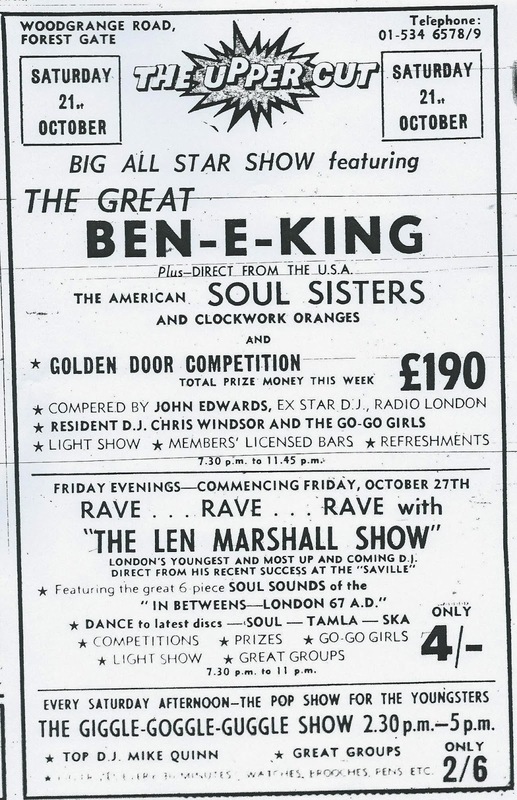 The adverts, below, from the Stratford Express, promoted the gigs, whose biggest names of the month were undoubtedly Stevie Wonder and ex-Drifter, Ben E King. Blind since birth, 13 year old Stevland Hardaway Morris broke on to the world music scene as twelve year old Little Stevie Wonder, with his US Motown hit Fingertips, in 1963. He was still only 16 when he appeared at the Upper Cut Club on 7 October 1967, with UK hits Uptight, the Bob Dylan classic, Blowin' in the Wind and A Place in the Sun already under his belt. He had just issued his biggest UK hit, to date I Was Made to Love Her, and dropped the "Little" from his name by the time of his Forest Gate gig on 7 October. Tickets were 12/6d per head, about £10 at today's prices! He has recently chalked up his fiftieth anniversary in show business and was most recently seen at the Jubilee concert, outside Buckingham Palace, in 2012. Although he has not published an album for eight years, two are scheduled for 2014. 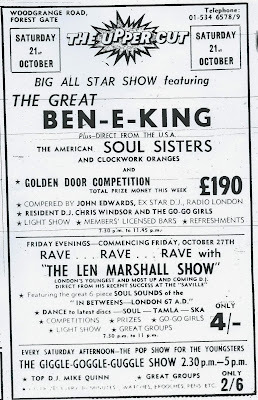 Two weeks later, on 21 October, Ben E King made his first appearance in Forest Gate. His greatest successes were probably already behind him by the time he appeared at the Upper Cut. Born in 1938, he joined the Drifters - where he made his name, twenty years later, before striking out as a solo singer in 1960. It was with the Drifters that he cut classics like There Goes My Baby and Save the Last Dance for Me. King is perhaps best known for his solo versions of Spanish Harlem, Stand by Me and Don't Play that Song - all of which he recorded five years before his Forest Gate date, but which he would have undoubtedly played on Woodgrange Road. He has continued singing since, without ever rescaling the heights of his 60's fame. October 1967's main offerings at the Upper Cut featured the Orlons, an American R&B outfit from Philadelphia. In 2010 they became the first US Top-100 charting group to have a career spanning 50 years. Quite what this means, however, is unclear in a business with frequently changing band line ups. By 2010, three of the original line up of four were dead! The group had a number of hits with, even by pop music standards, odd titles, including Bon-Doo-Wah, Shimmy, Shimmy and perhaps their biggest seller: The Wah Watusi. All had been recorded by the time of their Forest Gate appearance, and would doubtless have featured in the 28 October performance. 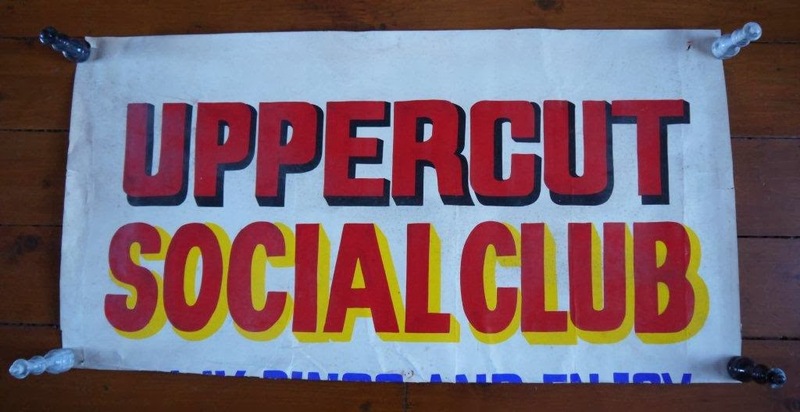 We would love to hear from anyone who was at these gigs, or indeed at any of the Upper Cut's great occasions. Drop a line in the comment box, below, or contact us, via e.mail, if you'd like to contribute.